1 DECEMBER 2007, ELLIS PARK STADIUM, JOHANNESBURG. Following the announcement earlier this month by former President Nelson Mandela of a World AIDS Day concert in Johannesburg, South Africa, for his 46664 action against HIV AIDS campaign, the first details of international artists who have confirmed their involvement in the event were revealed today. With six weeks still to go before the concert at Johannesburg’s Ellis Park Stadium on December 1st, Peter Gabriel, Annie Lennox, Ludacris, Corinne Bailey Rae, Goo Goo Dolls, Razorlight, and Jamelia have already pledged their support to perform for Nelson Mandela on the day. A further announcement of international and South African artists will be made when the former South African president announces the final line-up at a press conference on October 29. The December 1st concert in Johannesburg will be the fifth International 46664 concert to take place since the AIDS charity was founded under the banner of Nelson Mandela?s former prison number in 2002. The Johannesburg concert is the first to be held on World AIDS Day. 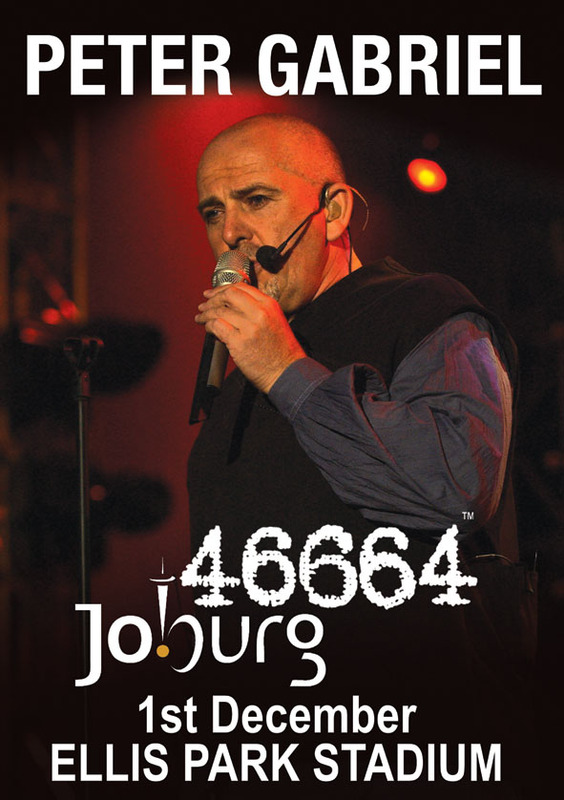 Involved from day one, and now at the forefront of the 46664 campaigning activity, the concert at Johannesburg’s famed 50,000 seat Ellis Park stadium sees Peter Gabriel and Annie Lennox once again answering Mandela’s call in the fight against AIDS. 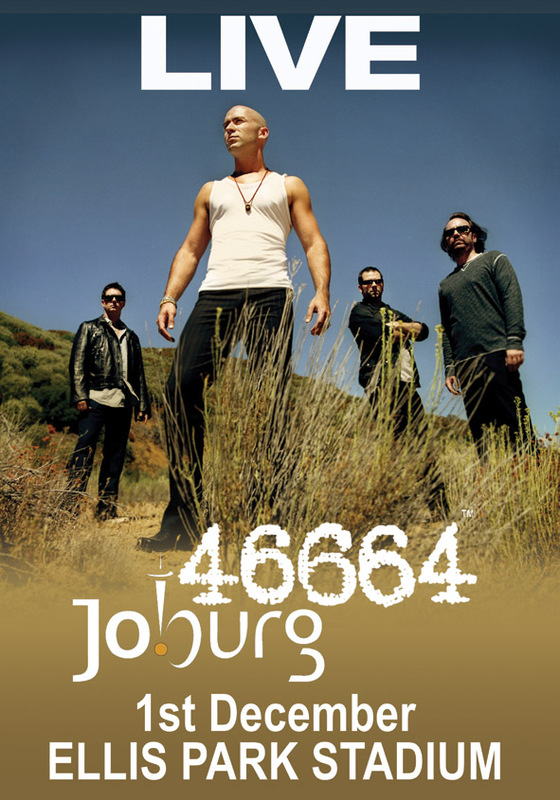 Founding ambassadors of 46664, both appeared at the very first concert held in Cape Town in November 2003, and again when Mandela took his message to the Arctic Circle with a historic concert in Tromsø, Norway in June 2005. Lennox made a further appearance for Mandela in George, South Africa in 2005. At the Tromsø concert Peter Gabriel personally introduced Nelson Mandela on stage with the now famous line…”From the pain comes the suffering, from the suffering comes the dream, from the dream comes the vision, from the vision comes the people, from the people comes the power, from the power comes the change, but if the world could only have one father, the man we would want to be our father is Madiba, Mr. Nelson Mandela”. Lennox has openly stated that her first meeting with Mr. Mandela at the Cape Town concert changed her life, and she has since then dedicated herself to fighting HIV AIDS and social injustices. Her forthcoming album ‘Songs of Mass Destruction’ is a result of her determination to bring awareness to the fact that the fight against AIDS needs to be sustained. As a further response to the HIV AIDS crisis, Annie has created a unique musical project entitled “SING”, which aims to focus mainly on women and children’s issues. For the first recorded song for “SING” Annie has been joined by “The Choir of 23” – an extraordinary line up of internationally celebrated female recording artists which includes Madonna, Joss Stone, Anastacia, Celine Dion, Angelique Kidjo, Dido, Gladys Knight, Sarah Mc Lachlan, k.d. lang, Pink, Shakira, and the Sugarbabes. SING aims to work in partnership with female artists in order to raise money and bring awareness to the pandemic. For both Gabriel and Lennox the upcoming December 1st concert brings them both to perform for the first time in Johannesburg. Exemplifying the fact that Mr. Mandela’s message has reached out across all musical divides and ages, the Johannesburg concert brings together long-established artists with some of today’s newest and most popular, mixing the rich music heritage of artists such as superstar rapper Ludacris and the multi-platinum selling Goo Goo Dolls, with the most current wave of chart artists such as Grammy nominated UK soul singer Corinne Bailey Rae, UK R & B singer Jamelia, plus UK rock band Razorlight who are making a second commitment to 46664 after appearing at the Norway concert two years ago. 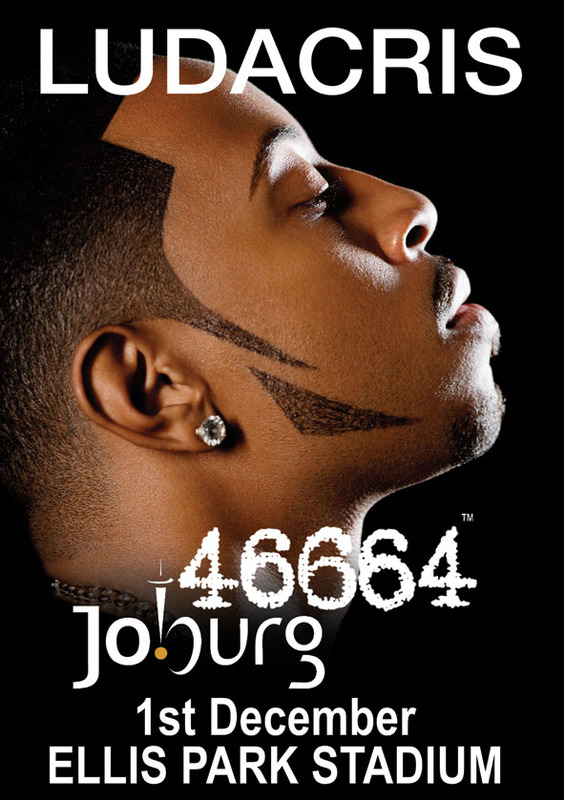 Along with each artist appearing in a solo set, the Johannesburg concert like those previous is likely to showcase many unique artist collaborations, which have become a 46664 concert trademark. For those who witnessed the original 46664 Cape Town concert live or who were amongst the millions who witnessed the broadcast in the 166 countries across the world in which it was seen, it would be hard to ever forget Annie Lennox’s unforgettable performance with Youssou N’Dour, Beyonce with Bono, Anastacia with Queen and Peter Gabriel together with Yusuf Islam. Corrine Bailey Rae received three nominations at the 2007 Grammy Awards: for “Record of the Year”, “Song of the Year” (both for “Put Your Records On”), and “Best New Artist”. The popular UK and award winning band Razorlight, who headlined festivals across Europe this year have also agreed to return to support 46664, following their first performance in Norway at 46664 Arctic. The band said they were “honoured to be invited and had no hesitation in accepting”. Inspired by the vision and leadership of Nelson Mandela, 46664 is a campaign vehicle of the Nelson Mandela charitable organisations. 46664’s aim is to raise awareness of the global HIV AIDS pandemic, as well as funds to support the ongoing 46664 campaign and the HIV AIDS projects it directly supports throughout sub-Saharan Africa. 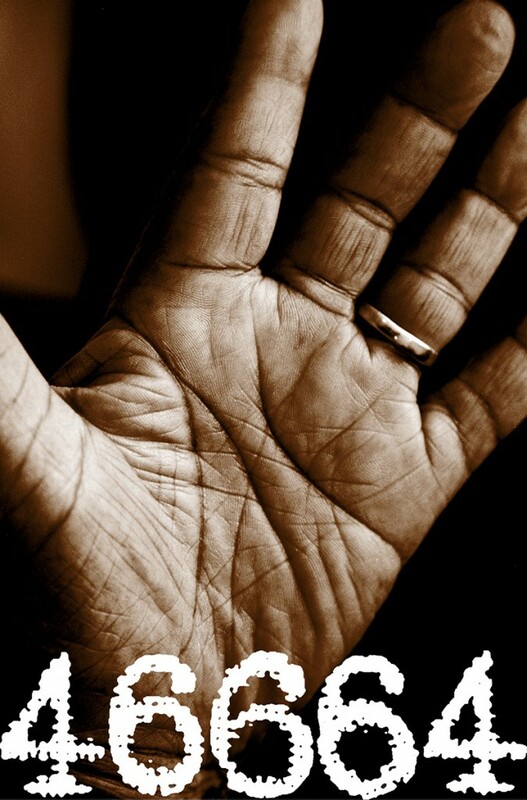 46664’s project funds develop and support practical programmes for the prevention, testing, care and support for those infected and affected by HIV AIDS in Africa. 46664 was the prison number of Nelson Mandela on Robben Island, Cape Town where he was held in captivity for 18 years. He was the 466th prisoner to be incarcerated on the island in 1964. In 2002 Mr Mandela gave his prison number 46664 to Dave Stewart of Eurythmics, who along with fellow artists Brian May and Roger Taylor of Queen, was instrumental in persuading over 30 of the world’s great artists to join Nelson Mandela at an all-star concert in Cape Town in November 2003 in aid of 46664. Through radio and television coverage, the concert delivered the 46664 message to more than 2 billion people in 166 countries, the most widely distributed media event in history. All the artists that perform at the 46664 concerts are appointed by Nelson Mandela as 46664 ambassadors to help him in his ongoing fight to raise awareness of the global HIV AIDS pandemic and to help those infected and affected by the pandemic in South Africa. 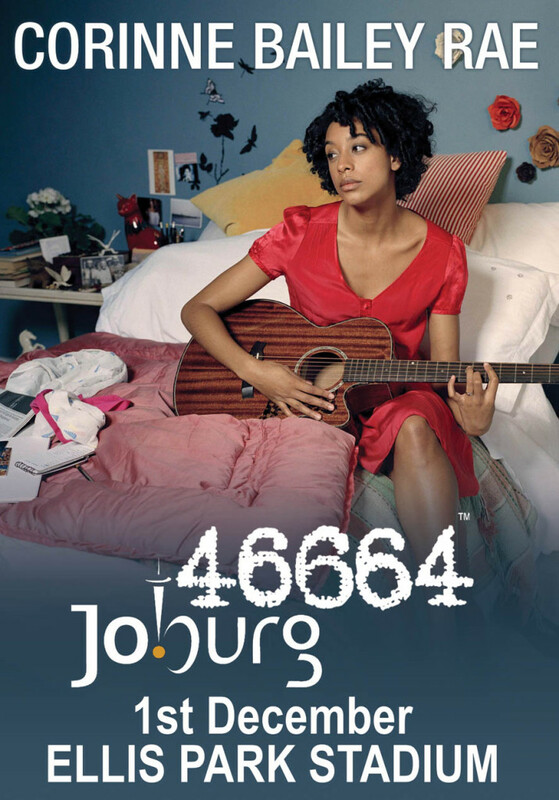 46664 recently unveiled its 2007/2008 campaign which will build on its past achievements and expand its outreach activities to communities and schools to engage the youth most affected by HIV and AIDS. The not-for-profit organisation harnesses the universal connecting power of music, sport and entertainment to deliver its messages primarily to children and young adults. The campaign is driven by well recognised figures in these fields thereby capturing the attention of youth world-wide. Tickets are priced from R120-00 (excluding the service fee) and are available from Computicket. Call them on 083 915 8000 or visit their website at www.computicket.com for more information.